Corrine Yap, Class of 2012, is currently working as an actress. 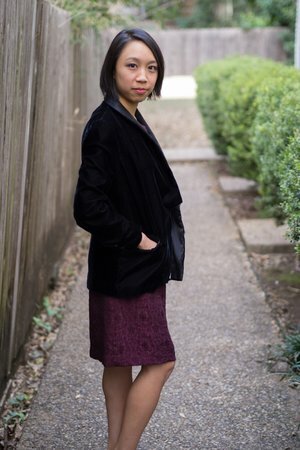 CHS graduate Corrine Yap is an actor, a playwright, a mathematician and a lover of purple. While Yap transferred to Clayton during the middle of her sophomore year from a small Catholic school in rural Missouri, she took advantage of her time at the high school. Attending CHS opened up a new world of opportunity for Yap. She was able to challenge herself academically and became involved in Clayton’s flourishing theatre program. During her senior year, Yap was both president of the Speech and Debate team and the music director for the student-run musical, “Rocky Horror Picture Show”. “That was a really great show. I personally don’t think I was the best music director because I don’t sing, but I really enjoyed being part of the process and it kind of opened my eyes to what it really takes to put a show together… I still think about that show all the time,” Yap said. Besides her passion for theatre, Clayton allowed Yap to excel in mathematics. The wide variety of classes offered supported her love for math. 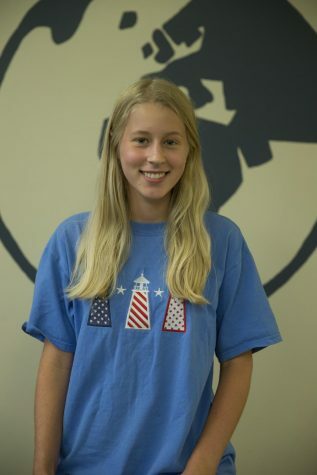 “I decided to study both math and theatre because while I was at Clayton I was able to continue doing both of them. Clayton was a really great environment for allowing students to do a lot of things so that was what pushed me to study both in college,” Yap said. Yap also enjoyed the conferenced English program at CHS. She feels that it allowed her to have closer relationships with her teachers, specifically her AP Lang teacher Amy Hamilton. “Senior year I had her for AP Lang and I was chosen as a Presidential Scholar to go to DC and when you’re chosen you’re allowed to bring a faculty member with you so I brought Amy… she really cared about me succeeding,” Yap said. The largest difference she noticed about Clayton compared to her previous schools was the encouragement of the CHS teachers. She was supported by them which allowed her to believe in herself. Their mentorship was invaluable to her during her high school career. “At Clayton, there were so many teachers who I just admired for being so passionate about their subjects and for really supporting the students… so I’d say meet your teachers and make them your mentors because it’ll be worth it,” Yap said.